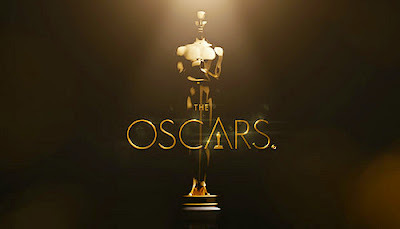 Despite already approaching mid-February, I'm just finally wrapping up my 2014 cinematic calendar and I thought it might be fun to figure out what my personal picks would be for the Oscars in the the following four categories: Best Actress, Best Actor, Best Director and Best Picture. First up, Best Actress. These would be my five nominees and the last one listed is my pick to win the award. So what if I am a 30 year old man who wept openly sitting in the theater watching The Fault in Our Stars? I'm not afraid to admit it. As I always say, I don't believe in bad genres or the notion that I shouldn't like something because I am not the target audience, in regards to age or gender. 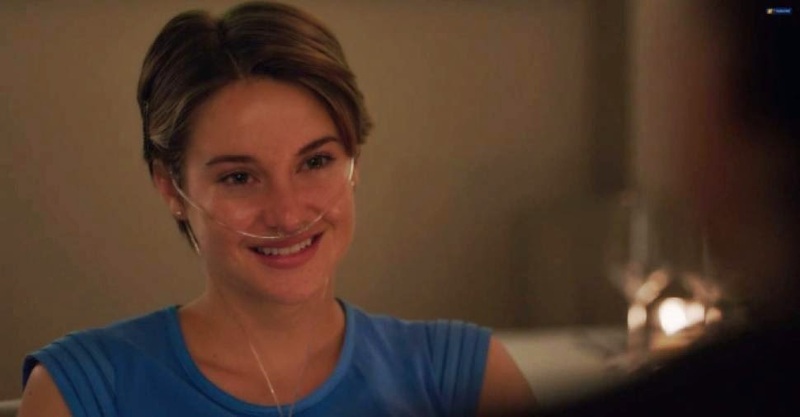 It's very simple really, a good film is a good film, and The Fault in our Stars is just that. A huge reason why it worked so well for me is the completely natural, heartbreaking performance by Shailene Woodley. After I saw the film I mentioned that I was rooting for her to make some noise come awards season, but I knew it was a long shot. In my world she still makes the top five. I really hope The Babadook finds the massive audience it deserves, because everyone involved deserves a ton of credit for being a part of a truly great horror film, one with a ton of depth and a powerful message about grief bubbling under the terrifying surface. I can barely find the words to express how brilliantly measured and chilling the performance of Essie Davis is here in the lead. If you haven't seen the film yet yourself, do it. Ba.-ba....doooooooook! 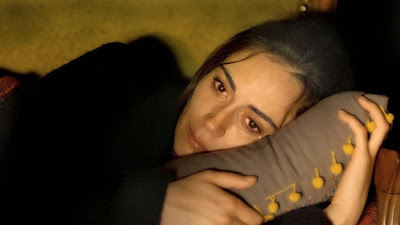 Winter Sleep is one of the best films of 2014 and the across the board remarkable performances are a huge reason why. I could rave for hours about the entire ensemble, but if asked to narrow it down and pick one from the group, Melisa Sozen does some quietly powerful, astonishing work. During various dialogue heavy sequences involving her character, Nihal, I simply couldn't take my eyes off of her. Completely brilliant while never being flashy, she steals scenes without even trying. Psychotic, beautiful, deranged and timeless, Rosamund Pike in Gone Girl manages to both give me nightmares and yet also feel as if she could have come straight from playing the love interest in a classic Hitchcock film. An absolutely mesmerizing performance as Amy Dunne, I have watched the film twice and my admiration for her managed to grow the second time around. I honestly don't know if I have ever seen her act before this, but I don't need any bigger sample size to determine that with the right material, Rosamund is clearly a breathtaking talent. I hope she continues to take on more fascinating, challenging work, because the range she shows in Gone Girl is incredible. If this had been a best performances of the year list, regardless of gender, Julianne Moore in Still Alice would still be at the top of my list. As I said in my review of the film (which can be found here), this was beyond heartbreaking work by Moore. Her portrayal of Alice Howland is devastating, rendering me speechless and literally feeling the hurt as I thought about the tragedy that is Alzheimer's disease long after the movie ended. I am extremely confident the Academy and I will see eye to eye here, as anyone else accepting that trophy on February 22nd would be shocking and unfortunate. Good choice. I have not seen Still Alice but it is supposed to be an excellent movie. It is a very good movie featuring a remarkable performance. 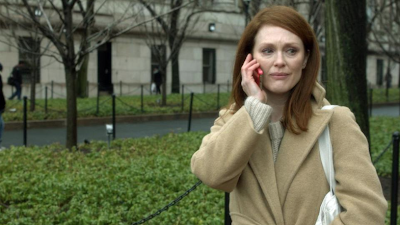 Julianne Moore is incredible in it, check it out when you really feel like being bummed out, haha. Haven't seen the movie yet, but the book was amazing. Your review really makes me want to see it now. are you referring to Still Alice, Nathan? Yeah. My wife read Still Alice for her book club and told me to read it. If the movie is half as good, it is great. Ah I figured, just wanted to be sure. My wife also read the book and completely loved it, has not seen the movie yet though. I told her about the remarkable performance by Moore and she was not surprised. I will be totally honest, I had never even heard of her until The Babadook. I figured she was way too talented for it to be an isolated incident though, glad to hear she is great otherwise as well.